Mar 24, 2016 11:17 CET by Ivan Shumkov March 24 (SeeNews) – Japan’s Toshiba Corp (TYO:6502) said today it will deliver its H2One hydrogen energy supply system with a solar photovoltaic (PV) component to East Japan Railway Co (TYO:9020), or JR East. 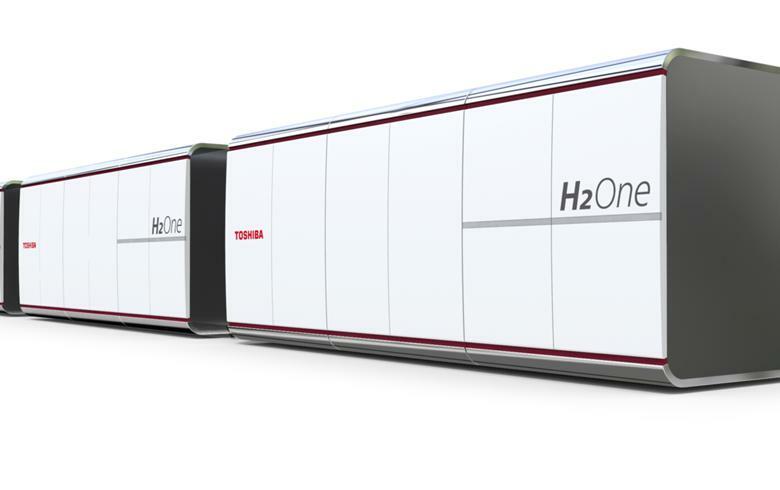 The H2One system uses a renewable energy source and hydrogen-powered fuel cells for the generation of carbon dioxide (CO2)-free electricity. The one that Toshiba will supply to JR East comprises a PV generation unit, battery storage, water electrolysis, hydrogen tanks and a pure hydrogen fuel cell unit. It will be installed at the Musashi-Mizonokuchi Station on the JR Nambu Line in Kawasaki City, with completion scheduled for the first half of 2017. During earthquakes and similar disasters, the H2One system provides uninterrupted, off-grid energy supply, as the hydrogen stored in the tanks is used to generate power through the fuel cell. The system will produce hydrogen using electricity generated by solar panels installed on the rooftop of the station, Toshiba explained. The value of the order was not disclosed.